Rewrote the storage for the AddonRepository module in the work with Irving to make the Addons Manager async. Did the Downloads API file/folder/mimetype launcher code and storage migrator for the new JS downloads API project. After Drew made the contentprefs API async I help update a number of the API consumers to async. Created a hotfix to decrease the update check interval which brought more users to up-to-date Firefox versions, who were lagging behind by never seeing the update message. Worked on a hotfix to deactivate pdf.js if necessary, when we were releasing it to all users for the first time. Fortunately we didn’t have to use it. Assisted in the work of another hotfix that was being prepared to change the update fingerprints but also luckily wasn’t needed. Wrote down some documentation about all of the hotfix process to streamline the creation of future ones. For mochitests: worked on fixing some of the optional parameters like –repeat which weren’t working for all kinds of mochitests, and added the –run-until-failure option. 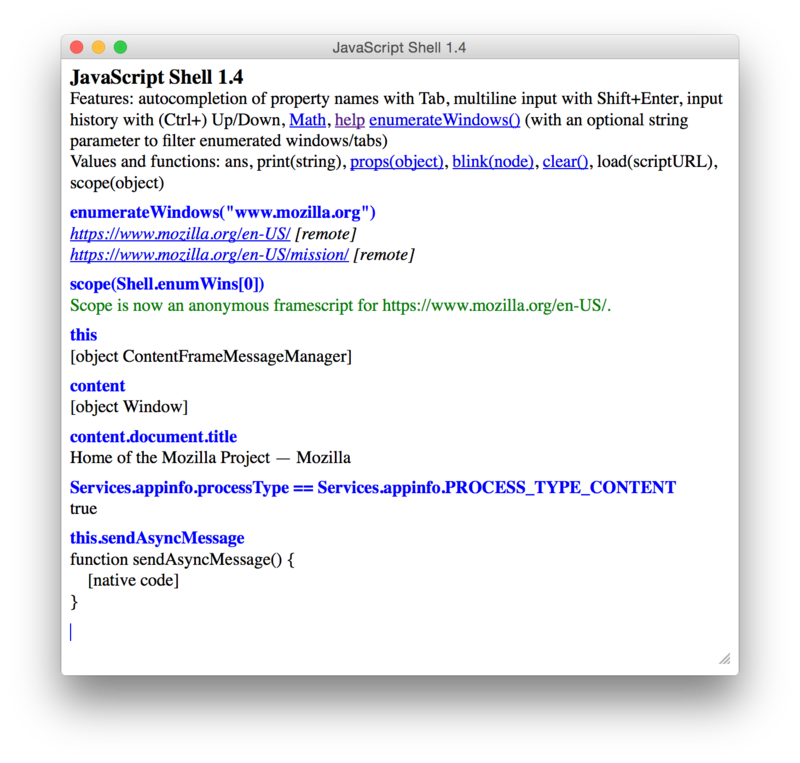 Added the –debug-on-failure option which works together with the –jsdebugger option. Helped organize the projects of Desktop Firefox for the Google Summer of Code and guide many students through the proposal phase while they drafted their proposals. Mentored one student for GSOC who created an add-on to visualize memory usage information from about:memory. That’s it. Looking forward to a great 2014! Last week, the 2013 edition of the Google Summer of Code officially finished. The Firefox team had come up with a few project ideas for this year and I mentored Abhishek Choudhary in the project dubbed “about:memory for real people”. The goal was to produce a friendlier and prettier version of about:memory that could be used by users and web developers to investigate the memory usage aspects of their webpages. Mentoring GSoC was a nice experience again (it was my 4th time as a mentor) and I’m happy to say that the project was completed successfully! On Sep 16th, the “soft pencils down” goal on GSoC timeline, Abhishek tagged the 1.0 version on GitHub and the code was called complete. After a small extra bug fix, 1.0.1 was tagged and then submitted to addons.mozilla.org! The project itself was very interesting because it was not a straightforward coding exercise: there was also a creative element to it which allowed us to experiment different visualization styles to try and see what worked best. It began with a few different separate visualizations but it evolved over time to one main integrated viz that supports seeing the data consumed by each tab and to watch how it evolves over time. The user can take manual time snapshots or let it take one every 5 seconds, and then use the time slider to go back and forth between the last 5 snapshots. The main hope is that this should be useful for a web developer who wants to see how a particular action on the website might affect its memory usage and if it fits the expectations (does that operation increase memory? does it release it as expected?). You can see more details and install it from AMO. There’s a small catch: the add-on currently won’t work with Aurora or Nightly, just Beta and Release. This was an interesting part of the project: on the few last weeks of the project, the API that the add-on had been using changed, and it was not possible to change it to the new API among the other wrap-up tasks for the project. But luckily add-on versioning works well, and as the goal of this add-on is end users, shipping for beta and release is ok for now, and we’ll soon be posting a new version that is compatible with FF25+. Abhishek also has a very nice blog post that you should be reading instead of mine :), describing the project progression and his experience working on it. I want to take this opportunity to say congrats to him and thanks to all students who participated in the GSoC project this year! I hope everyone had a nice time and hopefully the experience have interested some of you to continue to be part of community! Looking forward to next year’s projects. 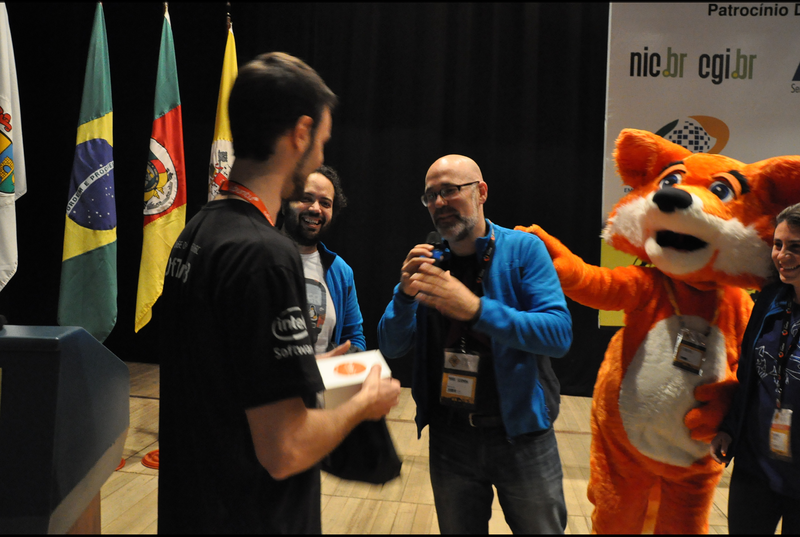 Two weeks ago, almost the entire Mozilla community in Brazil assembled together in Porto Alegre to attend FISL, the largest free software conference in the country, which brings together about 7000 people every year to talk about every side of open source: communities, business, government, education, etc. I think the community had its best attendance ever this year. For one thing, it was the largest group: there were about 30 contributors from all over the country who contribute to every area of Mozilla. For another, our participation this year was entirely planned and run by the community, and everyone was working together in sync to make it a success. Our activities included various talks on the main conference track, an apps hackaton, a Mozilla room, SUMO sprints, and just a lot of engagement with the students and developers at the conference. As expected, interest in Firefox OS was very high, and this brought to us a lot of people who wanted to hear more about the OS, take a look at the devices (we had a few Geeksphones for demonstrations!) and learn how to build apps. With the dedicated Mozilla room we were able to run several “Apps 101” sessions to get people started on apps and the hackaton (at times back-to-back sessions to keep up with the demand! ), and to provide a welcoming place for them to hack on the apps or to get some hands-on help when they needed. In true free software spirit, most of the talks at FISL are live streamed and also recorded, and you can see the full program here. Below are all the talks we had (I think I’ve included them all but apologies if I forgot any). The hackaton ran during the conference and finished on Saturday afternoon. We got a total of 7 apps submissions, which are all posted on github, and the winner was announced at the end of Surman’s talk and received a Geeksphone Keon! There were also e-books as prizes for other teams. Big props to Adriano, André Garzia and Morvana for running the hackaton! With all that, what I have to say is thanks to all the contributors who helped with all our activities. It was great to meet again some of the old-timers and specially nice to meet the newer members of the community to whom I had only known online before. 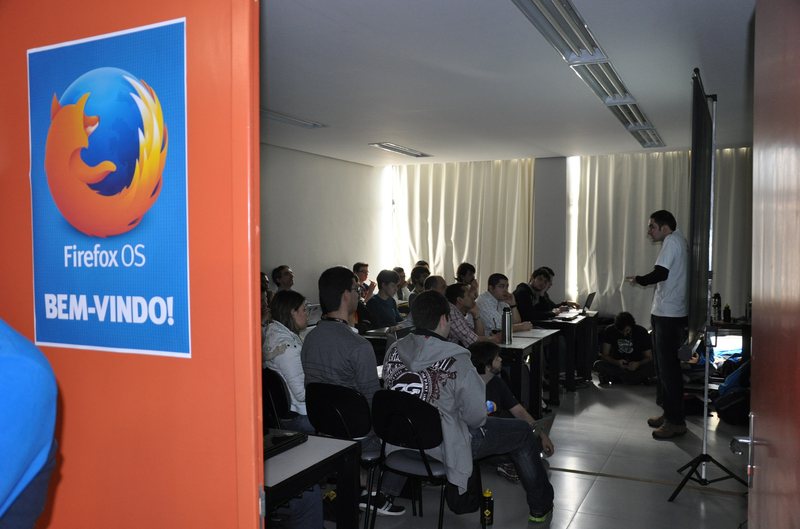 I was very impressed with everyone’s dedication and passion for Mozilla! 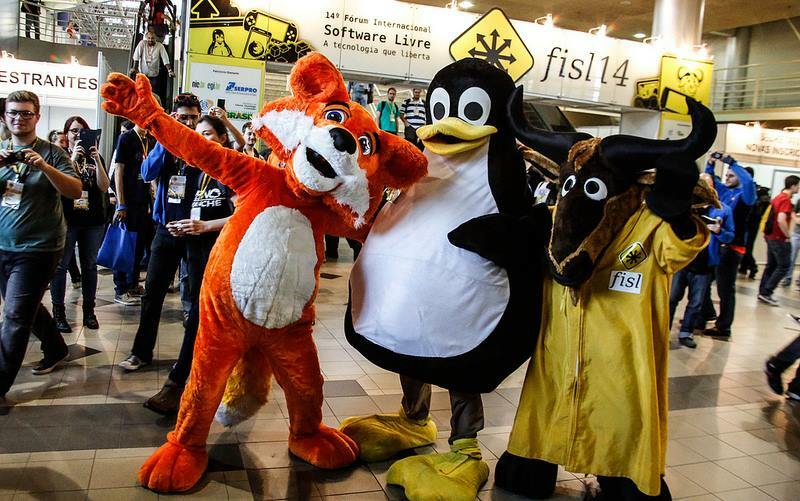 Attending FISL is always a special experience for me because that’s where I started my true involvement with open source and Mozilla. After meeting Marcio and Fabricio in São Carlos in 2005 and been following things online for a while, I attended my first FISL in 2008 where I gave a presentation about add-ons development and there I met Chofmann, Blizzard, Taras, Mitchell, Mary, and that was a big push for me to start contributing. I’ve been attending the event ever since, and nowadays I often get people asking my story and how they too can get involved and I hope that I can too serve as support and inspiration for the new people joining who wants to participate and grow in the community. Last but not least, a special thanks to Sérgio for being the lead organizer and volunteering an incredible amount of his time in the past N months to make FISL happen this year!